O.K. so I am finally coming back down to earth from all of the inaugural buzz. 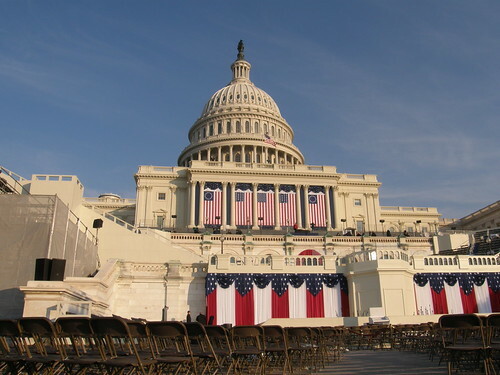 I endured the cold and the crowds to be on the Capitol Mall on Tuesday, to witness the swearing in ceremony of our President Barack Hussein Obama!! I would do it again in a heartbeat, it goes down as one of the most significant moments of my life. 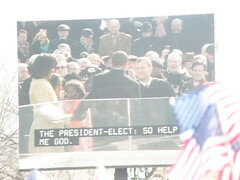 And of course I broke down into tears the moment he said “…so help me God.” That was the moment!!!! I’ve posted some pictures in my flickr gallery from the day, here is the link…Inauguration Day Photos. God bless our president and his family, and may the Lord protect him and guide him as he leads our nation. Aysha — This photos are phenomenal! I love all the different perspectives. Thanks so much for sharing these!